A new era of strengthened US – China relations is on the horizon. I am sure both President Barack Obama and President Xi Jinping both look forward to that future. 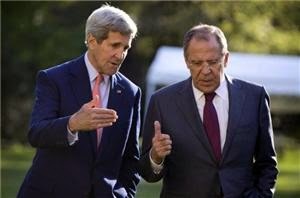 “Sergei Lavrov and John Kerry agree at talks in Beijing to exchange information about situation on Russia-Ukraine border. Russia’s foreign minister Sergey Lavrov has welcomed US involvement in resolving the Ukraine crisis, saying it would be a “step in the right direction,” in comments that appear to reflect a toning down in bilateral tension that has been at its worst since the end of the Cold War.